Mahatpurna Kaam Pe Jate Hui Kisi Ka Rokna-Tokna Ashubh Ya Apshakun Mana Jata Hai. In many societies, especially in India, it is considered to be a bad omen when you are going for some important work and someone interrupts you on the way or calls out and ask you “where are you going?” or “Going for some important work” or something to that effect. The failure in successfully completing that task, job or work is then attributed to that interruption or Rokan-Tokna. Even though, I have an open mind regarding this “paranormal belief” “superstition” or ‘bad omen”, I am still providing a Upay or a paranormal remedy for removing bad effects of interruptions, while going for some important work. This paranormal remedy is simple and easy to practice for anyone, including laypersons. It is also free from any kind of Mantra-Tantra or religious rituals as it is a stand-alone remedy. If you experience this type of bad omen, while going for an important task then you have to pour water over your handkerchief and then wring it remove excess water and then move the wet handkerchief from your toes to you head. 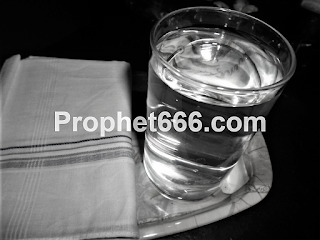 Then, you have to drink a glass of water to complete this paranormal remedy and become free from the ill-effects of the bad omen. As mentioned above, this Totka or paranormal remedy is most simple to perform because sources of water can be found everywhere. Notes- This superstition or bad omen is part of a long list of superstitions and bad omens, which have originated many centuries back and have been handed over by one generation to the next.